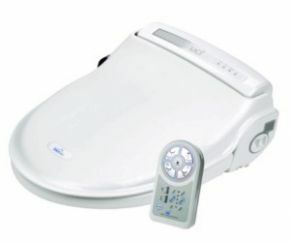 Bio Bidet Supreme Temperature And Pressure Controlled. 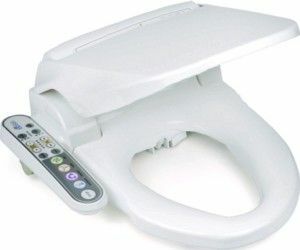 By means of a retractable and oscillating nozzle, the Bio Bidet provides the user with a temperature and pressure controlled warm water wash and blows dry, converting a standard toilet into a sophisticated shower and wash toilet. The discreet nozzle also provides a powerful and warm air drying operation. Retracts back in to the unit after use and has an automatic self cleaning mechanism built in. Two model options: BB-800 Prestige and BB-1000 Supreme. BB-800 Prestige has a fixed control panel on the side of the seat. BB-1000 Supreme has a remote control unit and also features a deodoriser. Bio Bidet can be fitted to most standard toilet pans in place of the original toilet seat and has WRAS (Water Regulatory Advisory Scheme) approval for installation in the UK.